Canada is beautiful in all seasons, but its cities have a special charm in winter when they are covered in snow. 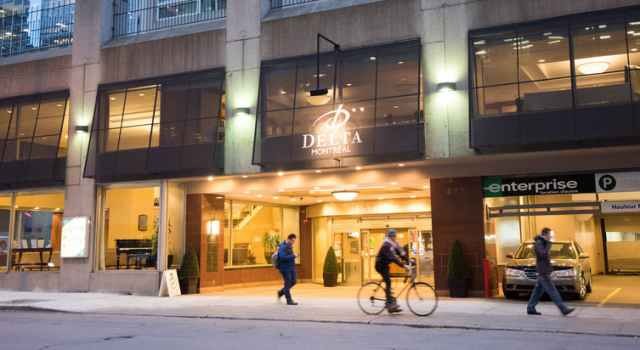 And now you can book the Delta Hotels Montreal from $119 a night and get it for the best price we have found on the market. Did you start making plans for a Montreal trip yet? 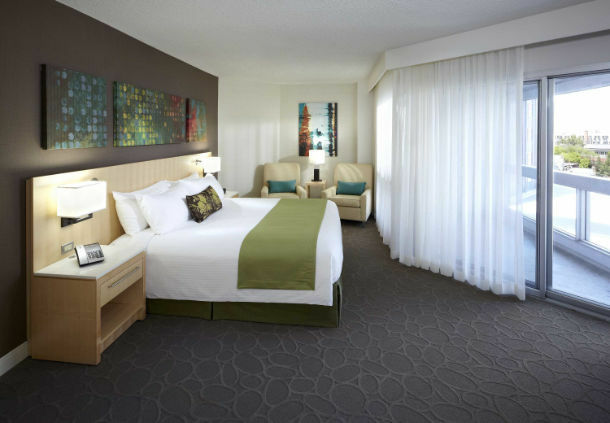 This 4 star hotel is set on the President Kennedy Avenue and it is close to Musee McCord, Guy Favreau Complex and about 20 minutes by walk from the shores of the Saint Lawrence River. 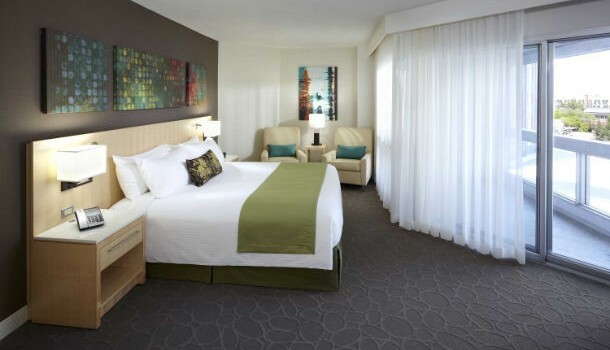 Delta Hotels Montreal has got very spacious and comfortable rooms with one king, two double or two queen beds. 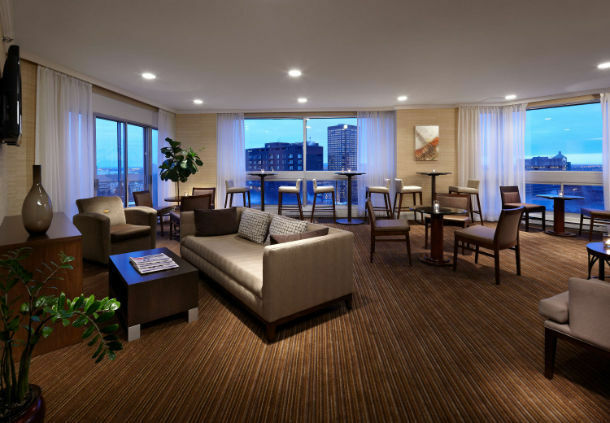 They are air conditioned, work desk, sitting are, telephone, free bottled water, floor to ceiling windows opening into a balcony, coffee and tea maker, hair dryer, ironing set, free Wired and Wireless Internet connection, iPod dock, cable TV and more. Various breakfast options are available at the 4 star Montreal hotel for a fee, from grab and go to continental, buffet or hot breakfast. Delta Hotels Montreal also has a restaurant on site. Resto-Bar Le Cordial serves tasty Canadian dishes with special accents from Quebecois accents. Guests can also find lots of other restaurants in the area. M Biospa is also located within the hotel and offers lots of services. 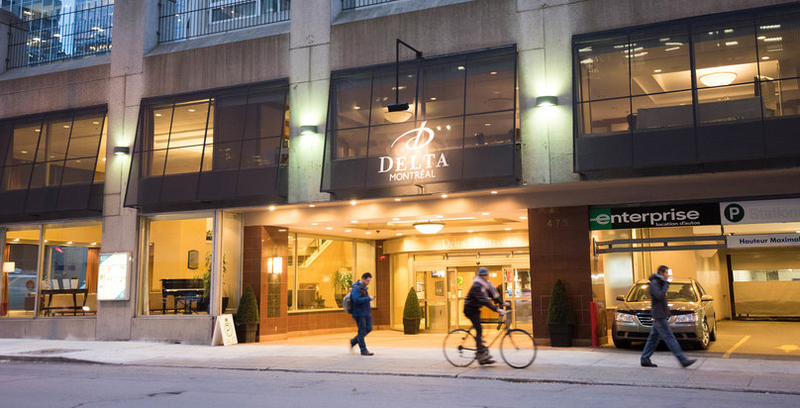 You can get massages, body scrubs and treatments, waxing, facial treatments, massages, hair treatment and more at Delta Hotels Montreal by Marriott. The hotel’s fitness center is equipped with cardio equipment, free weights and has two squash courts. You can find 15 meeting rooms here for any type of business and meeting events, even weddings with catering team and organizing staff. 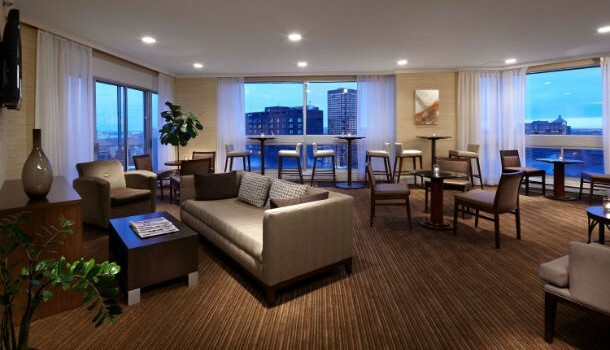 Would you rather stay in the central area of Montreal or you are looking for a more budget friendly hotel in the city? It is easy to find any type of hotel you want with the box. Just choose the travel sites you want to compare and add check in and check out dates, then hit the button and browse the best Montreal hotel deals on the market.